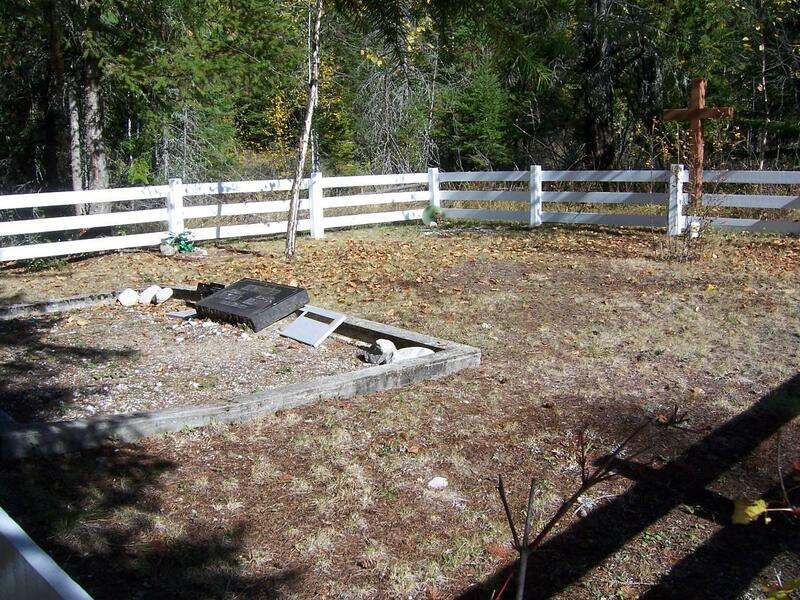 The following is a transcription of Procter Family Cemetery located at 2703 Mabel Lake Road in Lumby, British Columbia, Canada. 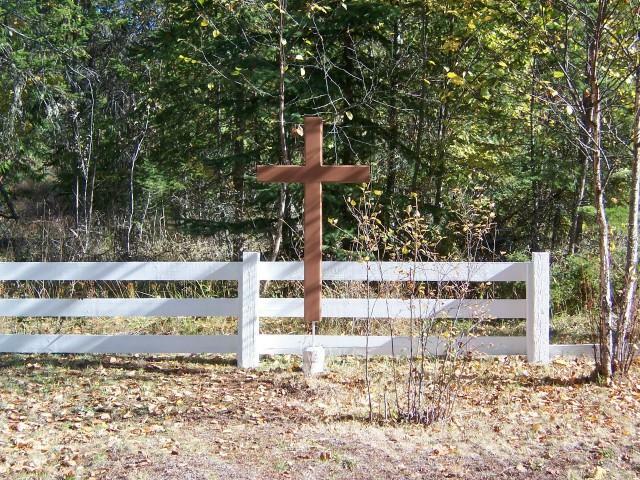 Latitude: 50o 22' 49.47" N.
Longitude: 118o 46' 24.63" W.
This private family cemetery is located on the farm first homesteaded by William Procter who was one of the first settlers in the area known as Mabel Lake. William left Lancaster, England in 1887 and homesteaded this farm in 1892. William was single at the time but he was subsequently introduced to Hannah Fry Kileen, whom he later married. Hannah was previously a widow with two children, named Albert and Sadie, living in the Creighton Valley. William and Hannah had a large family: daughter Annie and sons William (Duke), Benjamin, Robert, Edward, John (who died as a baby), George and Paul. The cemetery is approximately 30 ft. x 30 ft, surrounded by a white wooden fence. There are eight marked graves and one unmarked grave. Two markers are memorials only. There are two upright raised markers, one flat marker and six bronze markers. The site is only partially maintained. From Highway 6 in Lumby turn north on Shuswap Avenue (intersection with the flashing red lights). Shuswap Avenue will eventually become Mabel Lake Road. The Procter Family Cemetery is about 27 km north of the flashing lights along Mabel Lake Road. The cemetery is on a side road just before the Procter farm house (2703 Mabel Lake Road), to the right up a road beside the north end of a bridge. Please note: An appointment should be made with LeRoy or Marilyn Procter for permission to visit this cemetery.